Art Classes for Kids. 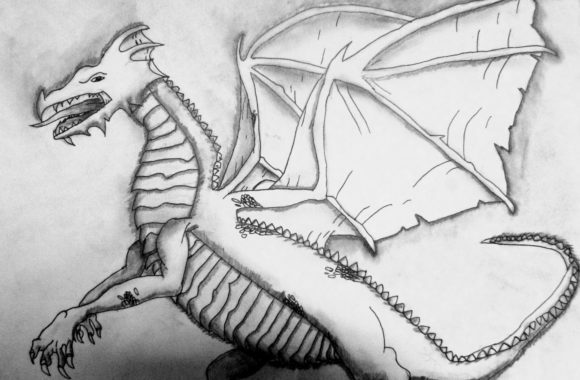 Learn how to draw and paint! Austin and Cedar Park. 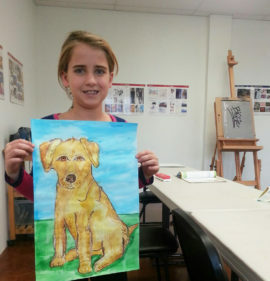 ART classes for kids 7-9 years old. This is a great age for Art Classes. The kids from 7 – 9 are not self-conscious yet about how their art work “should look.” They are very open to ideas and information. Learning how to draw and feeling confident about it will take them safely beyond the age where most of us decided “we do not know how to draw” or about 10 years old. In this class, we have a good balance of drawing from imagination and drawing from observation. Drawing from imagination is very important at this age and teaching them a few art concepts that can be applied to their drawings will open their creativity and imagination. We teach drawing from observation and help students to “see” and notice details that will help them to translate it to paper. 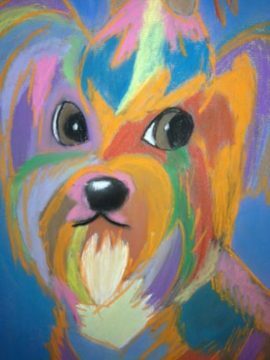 We teach about painting in this class including the proper use of brushes, color mixing using watercolors and tempera paint and other mediums such as soft and oil pastels. 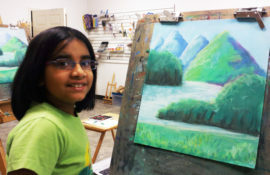 This class builds confidence and individual creativity in a guided but fun artistic environment. During the school year: Our weekly classes for children run from September to May. You can enroll any time if we have space in the class. You do not need to wait for the beginning of the month to enroll (we will pro-rate tuition if that is the case). The students will take advantage of our small teacher/ratio having a quality instruction while developing a love for art. If you do not find space in the class you want, please register in the waiting list, and we will contact you with some options. The tuition covers FOUR consecutive art classes which meet once a week. There is a $35 admin fee every quarter (due in September, December and March) except over the summer. We provide all the materials for the art classes and host two student art exhibit shows (“Gallery Day”) per year. During Summers: Our schedule changes to open space for half-day Summer Camps in the mornings and afternoons as well as a reduced number of weekly classes. Start any time! Tuition covers 4 classes. Start any time! Your tuition will be pro-rated if you start in the middle of the month. Tuition covers 4 classes. Start any time! Your tuition will be pro-rated if you start in the middle of the month. When can I enroll in a class? You can enroll anytime as long as we have space in the class. Tuition for the first month will be prorated based on your enrollment date. For tuition fees, please see our class schedule. We have two locations conveniently located in Northwest Austin and Cedar Park. Yes. We have classes for adults, children and teens. For more information, please visit our class schedule. How young can at student be to enroll in a class? Students can start as young as four years old depending upon their level of maturity (how the child handles being without Mom or Dad at their side). For more information or special requests, please contact us. 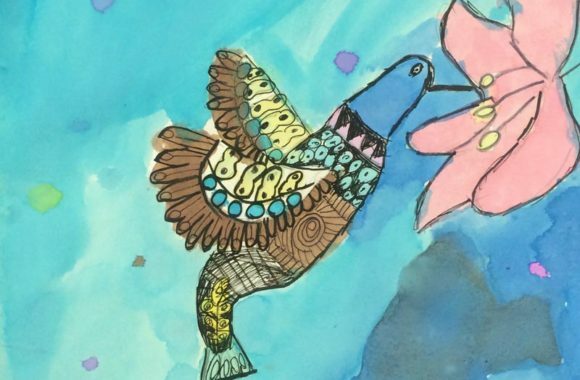 How is Art Plus Academy different from other art classes? Our continued class approach (as opposed to a one-time class), small groups and focus on technique, allow us to take each student from a beginner level to an intermediate or advanced level through skill development and freedom to foster individual creativity. Measurable results can be achieved by each student after 12 weeks of continuous instruction! What is your class make-up policy? A student can attend another regular class provided there is room available. However, there is ABSOLUTELY NO PRORATING NOR REFUND for missed classes. "Missed" classes cannot be used as a "class credit" for the next session. See our class policies. Do you offer scholarships or reduced tuition? We believe in providing the best teachers and facilities to our students and unfortunately cannot afford to offer reduced tuition or scholarships. Please feel free to send an email or call us. We’d love to hear from you and provide you with the information you need! 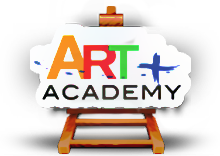 ART + Academy weekly classes are held from September to May and you can enroll any time during that period. No need to wait for beginning of the month, we will pro-rate your tuition. During Summer, we mainly provide Summer Camps and a reduced number of weekly classes throughout the week. 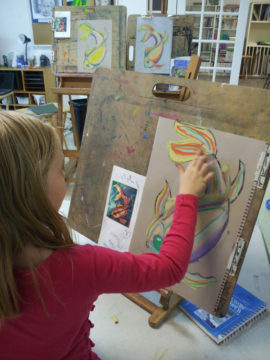 For students in the Children and Teen classes, Tuition covers FOUR consecutive art classes which meet once a week. There is a $35 admin fee every quarter (due in September, December and March) except over the summer. We provide all the materials for the art classes and host two student art exhibit shows (“Gallery Day”) per year. If you start classes in the middle of the trimester, your admin fee will be pro-rated. Adult students are responsible for his/her own material. There is an annual registration fee for all adult students. This fee is pro-rated depending on your enrollment date. Tuition will be charged to your credit card during the first week of each month. If you rather use an alternative payment method, such as a check, please pay a week prior to the next month in order to avoid the charge to your card. All tuition and fees are non-refundable. Please read our make-up class and cancellation policy. To cancel a class and stop the monthly payments, please send an email to info@artplusacademy.com no later than the 15th of the month to avoid next month’s tuition charge. Please notice that there are no refunds for tuition and fees that are already paid. Withdrawal from a summer camp session are refunded minus a $30 cancellation fee provided you give us an eight (8) days advance notice. Due to instructor/school preparation costs, no refunds will be granted seven (7) days or less prior to the summer camp session's start date. To request a make-up class, fill-out our "Schedule a make-up" form, located at the bottom of our website and allow 48hrs to be processed. A student can request to make-up a class of the same age group, if their monthly tuition is paid. A student can attend a make-up class, provided there is room available, and you have received a confirmation email. However, there is ABSOLUTELY NO PRORATING NOR REFUND for missed classes. "Missed" classes cannot be used as a "class credit" for the next session. If you are absent for your make-up class, you are ineligible to reschedule this class. You must contact us at least 48hrs before the make-up class to reschedule. There are no make-up classes or refunds if campers miss a day(s) of their camp. Our three locations are equipped with a lobby/waiting area for parents who wish to wait while students are in class. Please be aware that parents ARE NOT ALLOWED to sit in the class or inside the studio area. Parents in the classroom during class can be disruptive to the teacher, other students, and your own child. Please wait in the lobby area until the class has finished. Please contact us if you have any specific concerns about this policy. Please be on time for your class. Do not "drop off" your child early or leave him/her at the studio past their class time. Our staff needs time to get ready for the next class or go home at the end of the day. We are not equipped to watch/babysit children that are not enrolled on a class. There is a $2 fee per minute for children picked up after our 10 min tolerance window. - For morning classes the decision will be done by 8:30 am. - For afternoon classes the decision will be done by 1 p.m. Please note that ART + Academy DOES NOT follow local school district closings. -Mass e-mail to all families. -Text-message (to those families who opted-in and activated this option). -A post in our website in the page "Student's Corner"
If classes are suspended due to inclement weather, students can make up their classes following our make-up procedure. ART+ Academy does not refund or credit for classes cancelled due to inclement weather closures. We also want to stress that the safety of our students and families is of the utmost importance to us and we want everyone to use their best judgment at all times and make a judicious decision for you and your family based on road conditions in your area. Even though we may be open for classes, please don't feel like you need to travel to the studio if you are questioning the safety of your trip. We will work with you to arrange a make-up class. Our ultimate goal with this policy is to keep everyone safe. Our Academy is for all ages!. Do you feel any of those applied to you? But never had the time to start a class and develop your skills? YOU ARE READY TO START? Take a look at the art work by some of our 7 to 9 year old students. 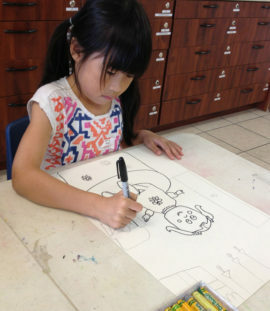 A seven-year-old artist drawing a doll. 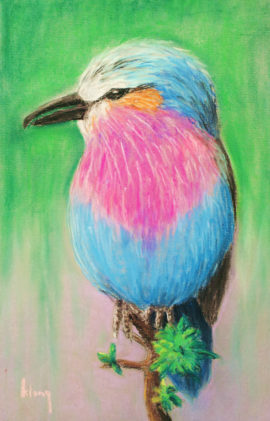 Soft pastel artwork by a 9-year-old student. Dog. Artwork by a 7-year-old student. Landscape. Pastel on paper by an 8-year-old student. Working with soft pastel techniques. Dog. 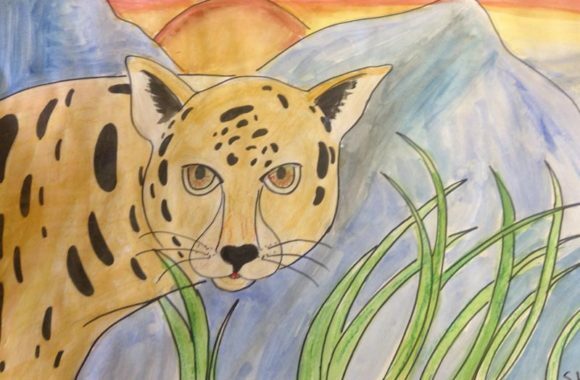 Watercolor on paper by a 7-year-old student.